Should You Travel to Zimbabwe Now? If you’ve been following the news out of Zimbabwe of late, you know that the country’s long-time president, Robert Mugabe, may finally be nearing the end of his repressive regime. Mugabe, now age 93, has been placed under mostly house arrest by the country’s military, who have denied that they are engaged in an actual coup — a good public relations move, but probably not very reflective of reality. The idea seems to be to head off Mugabe’s much younger wife, Grace, from succeeding her husband as head of state. Mugabe’s own political party, ZANU-PF, has withdrawn its support for him, and he now finds himself without any real authority. Our family has long tried to celebrate milestone birthdays and anniversaries with a major trip. I won’t specify which birthdays or anniversaries, but these celebratory trips have taken us to Paris, Alaska, Norway, Greece, and Antarctica, among other far-flung destinations. 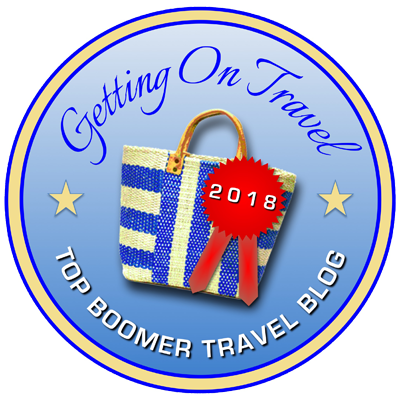 The company, known for their itineraries that delve deep into a region’s culture and cuisine, has suggestions for destinations perfect for a 40th, 50th, 60th and 70th birthday celebration. What Are Your Travel Plans for the Eclipse? What you’ll see when you look up during a total eclipse. On Monday, August 21, 2017, a 2,200-mile-long, coast-to-coast swath of the United States stretching from Lincoln Beach, Oregon, to Charleston, South Carolina, will experience a total solar eclipse, when the moon completely blocks out the sun and only the sun’s corona is visible. As the moon casts its shadow, midday darkness ensues, if only for just a few minutes (or seconds). This, as they say, is a Big Deal — one of nature’s true wonders, the stuff of myth and memory. Today’s guest post is from travel blogger Shawn Michaels, who loves to write about his outdoor travel experiences ans shop for hiking gear. You can read his blog, which focuses on hiking boots, thesmartlad.com, here. In this post, Shawn reveals his seven top hiking spots in Europe. Note that most of these are not exactly walks in the park — although one is just that, and another is relatively easy — but active backpacking boomers can set their sights on some or all of them. I was only familiar with a few of these, but the photos alone make me want to grab my hiking sticks and see how far I can go through some of Europe’s most enticing scenery. Plitvicka is a series of 16 adjoining lakes displaying emerald waters and waterfalls. Top Bucket List Items: What’s Number One? While I prefer the term “Life List” to “Bucket List” — it just has a more positive ring to it — Bucket List has become the generally accepted phrase for delineating those often-challenging, mostly travel-related experiences you want to do before you, uh, can’t do them any more. As a baby boomer, I’m acutely aware that I won’t have as much time or perhaps physical capacity as a millennial to, say, climb Mt. Kilimanjaro, which has recently slipped off my Bucket List until I can work myself into better shape. A few more years on the treadmill should do it, if my knees haven’t collapsed in the process.